Nick Peters scored 23 with the bat and took two wickets with the ball on his return to Bexhill's first team after injury. Bexhill Cricket Club’s first team has been relegated for the second successive season. The Polegrove-based outfit finished bottom of Sussex Cricket League Division Two following a four-wicket defeat away to Bognor Regis yesterday (Saturday). Bexhill went into the final round of matches needing to win their game, and hope that Lindfield and Ansty lost theirs - with Ansty accruing less than eight points to boot - if they were to finish outside the two relegation places. As it turned out, Bexhill would’ve propped up the table even had they won because Lindfield pulled off a brilliant victory away to runners-up Mayfield to finish just above Ansty, with whom they finished level on points. After losing the toss and being asked to bat first, Bexhill were all out for 120 in 32 overs - continuing the recent theme of low totals batting first. Although they lost Neil Blatchly for two early on, Bexhill were going along fairly well at 40-1. But the departures of firstly Johnathan Haffenden for 12 and then Danul Dassanayake for 26 sparked a collapse to 52-6, which then became 65-7 after Joe Sarro fell for 11 and later 80-8. Bexhill at least put up some resistance in the lower order, adding 40 for the final two wickets to pick up a couple of batting points. Matt Peters made 14 to help take the total into three figures and brother Nick Peters hit 23, including the only six of the innings, before being the last man out. All six Bognor bowlers picked up wickets. 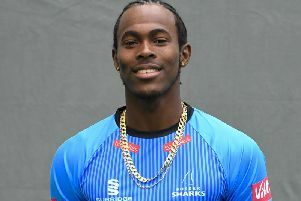 Sam Adams was the most successful in terms of wickets with 3-31 off nine overs, while Andrew Greig returned fine figures of 2-7 off seven. Bexhill at least made a fight of it with the ball, picking up six wickets - five of them caught and the other stumped - before Bognor got over the line in 27 overs. Bognor started quickly against the new ball, racing to 37 before Byron Smith dismissed home captain Ryan Maskell for 22 off 21 balls. Shawn Johnson removed Mikey Harris for 13 with the score 53 and Blatchly struck five runs later to give Bexhill hope. Bexhill kept chipping away through the spinners, with Blatchly seeing off Josh Seward for 20 to make it 78-4 and Nick Peters picking up wickets with the score 93 and 110, but Greig (16 not out) and Jim Fallick (14 not out from seven balls with two sixes) took Bognor home. Nick Peters ended up with 2-21 from six overs and Blatchly 2-26 from nine, but it wasn’t enough to prevent Bognor avenging their defeat in the mid-season reverse fixture. Sussex Cricket League Division Two final standings (all played 18 matches): 1 Three Bridges 422pts, 2 Mayfield 399, 3 St James’s Montefiore 390, 4 Billingshurst 366, 5 Haywards Heath 364, 6 Bognor Regis 267, 7 Chichester Priory Park 265, 8 Lindfield 232, 9 Ansty 232, 10 BEXHILL 203.